Try a vineyard vacation in one of these under-the-radar regions. All offer tours and tastings like the popular spots — minus the crowds. PAY A VISIT TO Colorado’s Grand Valley, New York’s Finger Lakes area, or California’s San Luis Obispo County this time of year and, along with bucolic landscapes and mild temperatures, you’ll find the zippy energy of crush season, when winemakers are rapidly picking choice grapes, sorting them, and passing fruit through crushers. In these wine regions, many vintners are still farmers, ­winery entrepreneurs are apt to get experimental, and the vibe is laid-back and low-key. And when you’re ready to take a break from imbibing, you’ll find plenty of outdoorsy activities beyond the vines, too. Terra-cotta-tinged Southwest scenery, lesser-known wines, farm-fresh fruit stands, and rustic tasting rooms. Cabernet Franc, Merlot, Malbec, Syrah, Cabernet Sauvignon, Viognier, and Petit Verdot. About four hours from Denver, hot days, cool nights, and the meandering Colorado River yield plump fruit in the state’s Western Slope. Peaches and cherries are king, but wine grapes, revived in the ’70s, long after Prohibition’s end, are plentiful, too. These days, right near the rocky Bookcliffs lie vineyards unlike any others in the country, with many of the vines standing at an elevation of 4,000 feet or higher. “When my husband and I first came here, it reminded us of the high-elevation vineyards of Argentina, where they make amazing Malbecs,” says Theresa High, founder of Colterris Wines. Since 2010, the riverside spot has been an innovative force in Colorado’s wine scene with rare styles (like a white Cabernet Sauvignon) and updated packaging (a rosé, a red, and a white in picnic-friendly cans). 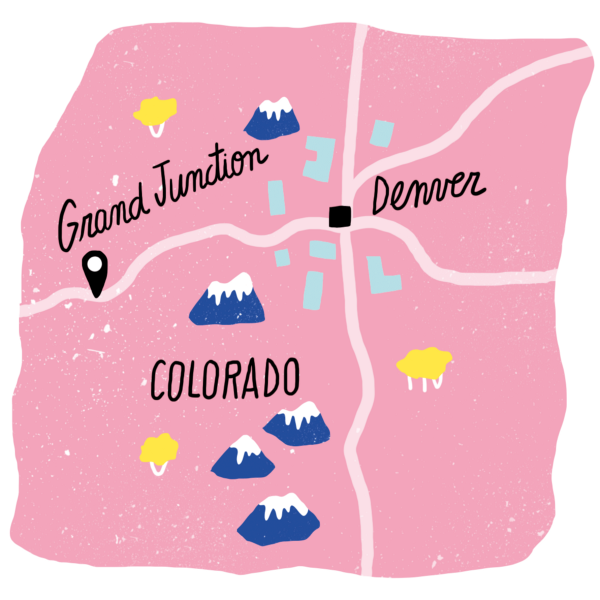 Take a drive around the town of Palisade: In the so-called fruit basket dotted with stands and markets, a bag of produce costs only a few dollars. “Guests love the rural atmosphere and the simplicity,” says grape grower and Airbnb host Jenn Moore, whose renovated barn is in biking distance of eight vineyards. That same down-home vibe is carried through to the wineries, which more closely resemble Denver’s craft breweries than more traditional, highbrow wine-making facilities. A favorite is Red Fox Cellars, where barrel-aged Merlot and citrusy rosé are served, along with cider on tap, in a reclaimed-wood tasting room. Generally vintners embrace grapes that grow best, so you’ll find a good amount of Cab Franc, Syrah, and Merlot in the area — but because a scrappy bunch also experiment with cold-hardy grapes, you’ll find lesser-known wines, as well, like the plummy Chambourcin at Whitewater Hill Vineyards. And give some non-grape vinos a try: Carlson Vineyards, in a former fruit-packing house, produces popular cherry and plum wines, plus an award-winning Palisade Peach wine made from thousands of pounds of pressed stone fruit. Snack on locally procured antipasti while you sample the wines at a wooden picnic table in the backyard. TAKE A HIKE: A local cross-country coach and his ­corgi lead trekkers on a seven-mile loop 15 minutes from downtown Grand Junction. EAT PEACHES: Swing by Z’s Orchard, in view of Mount Garfield, to load up on fruit, honey, and homemade preserves. ROLL ON THE RIVER: Rent a kayak or stand-up paddleboard from Rimrock Adventures, which can also hook you up with a guide. FUEL UP: Dine on Colorado pork porchetta at Bin 707 Foodbar, or try rustic, family-recipe dishes from an Italian-born chef at Il Bistro Italiano. Fall color in full swing, lodge-style lake-view tasting rooms, some of the best dry Rieslings in the U.S., locally made treats (cheese, chocolates). Riesling, Pinot Noir, Cabernet Franc, Lemberger, Gewürztraminer. According to local lore, the native Iroquois believed the Finger Lakes’ ­glacier-carved bodies of water got their bony shapes from the handprint of a spirit that blessed the land, and driving through the vineyard-lined hills, it’s easy to believe all this leafy scenery was a gift from the gods. Grapes have grown here for a long time, but until 1962 they were mainly native and hybrid French-American varieties, many used by juice companies and sweet-wine producers. That year, Ukrainian immigrant Dr. Konstantin Frank produced his first ­vintage, which was made with European ­vinifera grapes — the kind used in most of the wines we drink today, from Cab Franc to Riesling — proving they could thrive despite cold winters. Other boutique outfits, like Hermann J. Wiemer and Fox Run Vineyards, followed, producing the Rieslings and other fine whites (like Gewürztraminer) for which the region is now known. 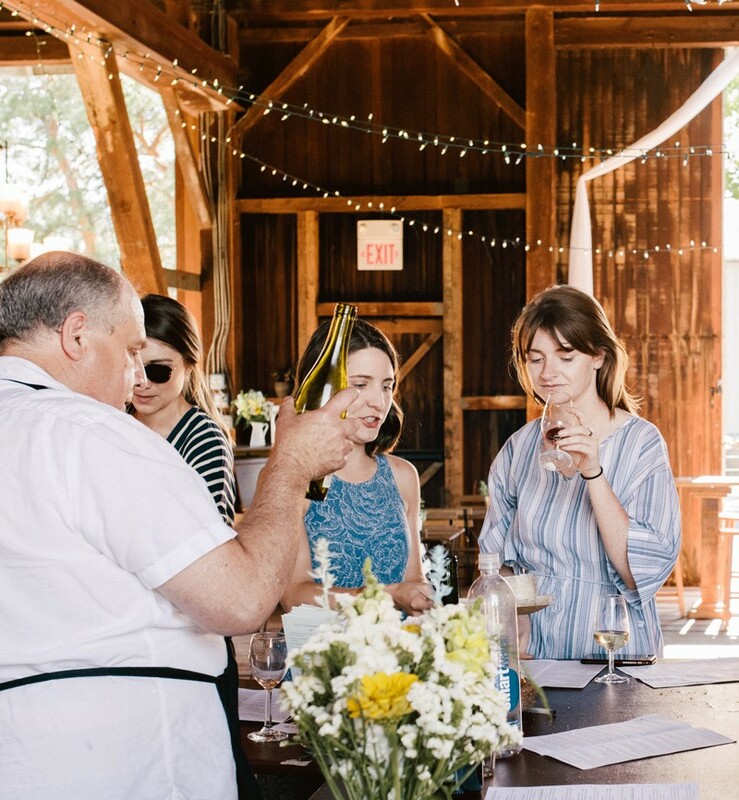 Most of the area’s 120-plus wineries sit along the Seneca, Keuka, Canandaigua, and Cayuga lakes and are still family-owned. (Don’t miss Keuka Lake Vineyards, in an 1800s farm, where nearly all the work is done by hand.) And while many are in modest barn structures, they’re cranking out some of the country’s top cool-climate wines, which are more nuanced than those from the warmer West Coast regions. (A standout: the black cherry–laced sparkling Teroldego at Red Tail Ridge.) And, even as it flourishes, FLX, as locals call it, is still the kind of place where the winemaker might also be your innkeeper. At Ravines Wine Cellars, for example, the owners are hosts of an Airbnb cottage on Keuka Lake. Tastings in their barrel-lined room are delightfully affordable, too: They start at a mere $6. Rule-breaking winemakers, transcendent landscapes, intense wine blends, and sustainable architecture. Rhône-style blends (e.g., with Grenache, Syrah, and Mourvèdre), Zinfandel, and Cabernet Sauvignon in the north; Chardonnay and Pinot Noir in the south. 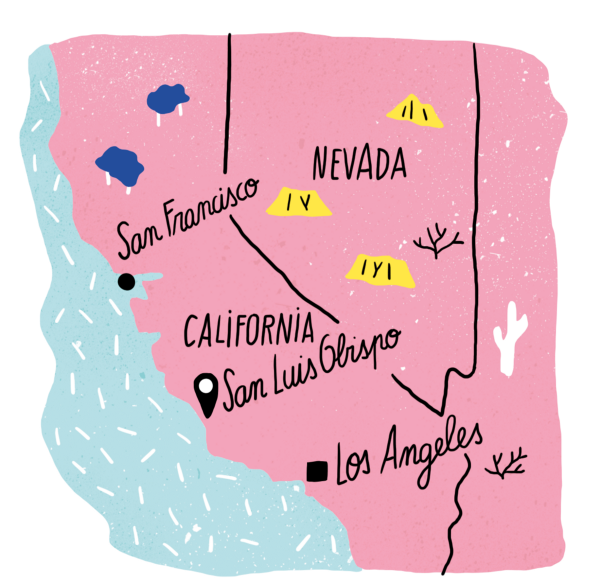 Sitting squarely between San Francisco and L.A., this Central Coast wine region is made up of two distinct main areas: the cool-climate south (including Edna Valley and Arroyo Grande) and the warm-climate Paso Robles in the north. For years, Paso was Zinfandel and Cab Sauv country. Starting in the ’90s, nouveau vintners used that same limestone-­rich soil to specialize in additional types of grapes (including Syrah and Grenache) — and other wines, like Rhône-style blends introduced by Tablas Creek Vineyard, took off. 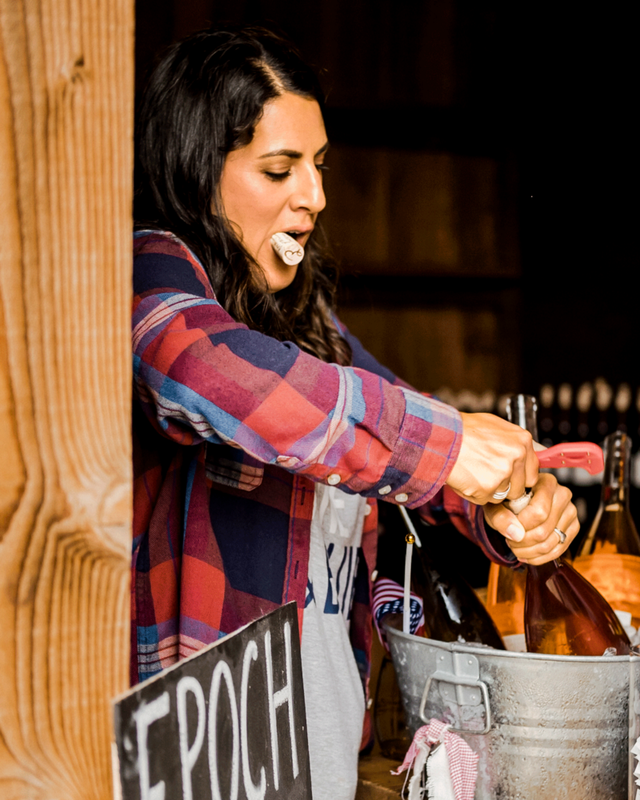 (Sip some there or in the clubby tasting room at Epoch Estate Wines on York Mountain.) 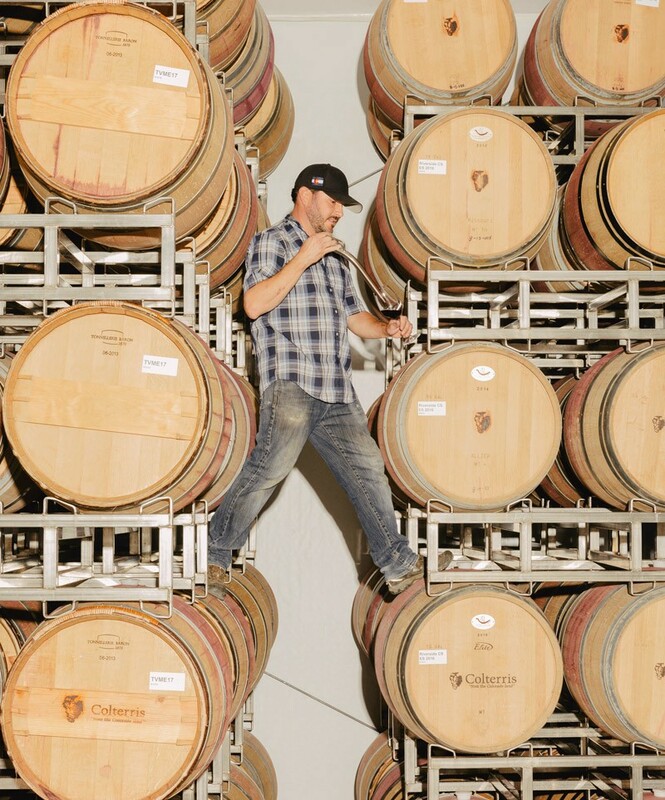 These days, with 62 grape varieties now grown here, California’s fastest-­growing wine hub may be best defined by its inability to be pegged down. “You can find all kinds of high-end wines for under $30, and most spots waive tasting fees if you buy a bottle,” says Erik Hormann, an Airbnb host who gives wine tours in a 1951 Ford minibus. A must-try: the earthy wines aged in amphoras (giant clay jars) at Desparada in Tin City, a revitalized warehouse district. A short drive from there, join SLOCal’s hipsters at the oak-studded Re:Find Distillery for lawn games and cocktails made with grape spirits. Here, in keeping with their focus on sustainability, proprietors Monica and Alex Villicana “work with the whole grape,” using excess juice from their winery and 25 others to distill vodkas and gins. Take the 101 into the ­county’s southern edge and rolling hills give way to valleys, boardwalk towns, and the jagged coastline. The wine community here is tight-knit (with about 30 family-­run operations, compared to Paso’s 200-plus), and that’s part of the charm. At the Niven family’s outpost, Baileyana, you can sip Chardonnay or Pinot Noir in a revamped 1909 schoolhouse. Make another stop at Sinor-­LaVallee’s low-slung bar in Avila Beach, where a staffer — or the owner or his wife — will lead you through tastings of hearty Syrah and mineraly Albariño while sharing nuggets of insider info, such as the best oyster spots in Morro Bay. SET SAIL: Take a three-hour cruise with marine biologist Doug Simpson, and there’s a good chance you’ll spot whales and sea lions as he describes the coastal ecosystem. GET A TASTE OF THE TOWN: Hospitality industry pro Angee Johnson takes visitors on a whirlwind tour of the freshest strawberry lemonade, out-of-the-oven breads, and vegan eats in the area. GO ON AN ART WALK: Join gallery director Ken ­McGavin to see (and hear the stories behind) murals, sculptures, and other standouts of San Luis Obispo’s ­public-arts scene. 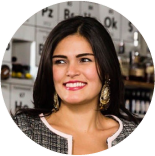 About the author: Stephanie Granada is a Colombian-American freelance writer who splits her time between Florida and Colorado. She’s into books, her dog, all things ocean-related, and small towns. You can also find her work in Sunset, Woman’s Day, National Geographic Traveler, Southern Living, and others.